People often think of software as either commercial (including shareware), or free (including open-source offerings). But somewhere in between lies another large category of software: donationware. The creators of such programs give the software away for free, in the hope that appreciative users will donate to support the application or a cause the developer wishes to promote. In this article I cover lesser-known gems. For more-renowned donationware, read "Free Downloads That Are Worth a Donation, Part 1." The holidays are the perfect time to take a break, so let's start with some games. One of the best donationware projects going on right now is the Humble Bundle. This inspiring project offers a platform for independent game studios and supports two charities (the privacy protector Electronic Frontier Foundation and the kids' charity Child's Play). The developers offer their games on a time-limited basis; customers set their own price, as well as how their money should be allocated among the Humble Bundle company, the developers, and the charities. Even the purchasing process itself feels like a game. The end of the year is also a good time to streamline your computer and get rid of all the excess software weighing it down. One common source of clutter is the assortment of IM clients that you might need to keep in touch with people using different protocols. A multiprotocol client such as the brilliant Miranda IM allows you to uninstall a whole bunch of other IM applications. Through the lightweight and powerful Miranda, you can communicate with friends and colleagues using AIM, Google Talk, ICQ, MSN, and just about any other protocol. In Part 1 of this feature, I covered the well-known encryption application TrueCrypt and the widely used FTP client FileZilla. But two lesser-known alternatives have strengths of their own. Much like TrueCrypt, Gpg4win is an open-source donationware project aimed at people who wish to encrypt their data. But that's where the similarities end. Whereas TrueCrypt is appropriate for encrypting files and folders and then mounting them on your own PC, Gpg4win employs a technique known as public-key cryptography, which you can use to send encrypted messages and files to other people. To encrypt a message for someone else, you need that person's public key, which they can simply email to you, since it is not a secret. To open your encrypted message, however, the other party has to use their private key, a file unique to them that corresponds with the public key they shared with the world. 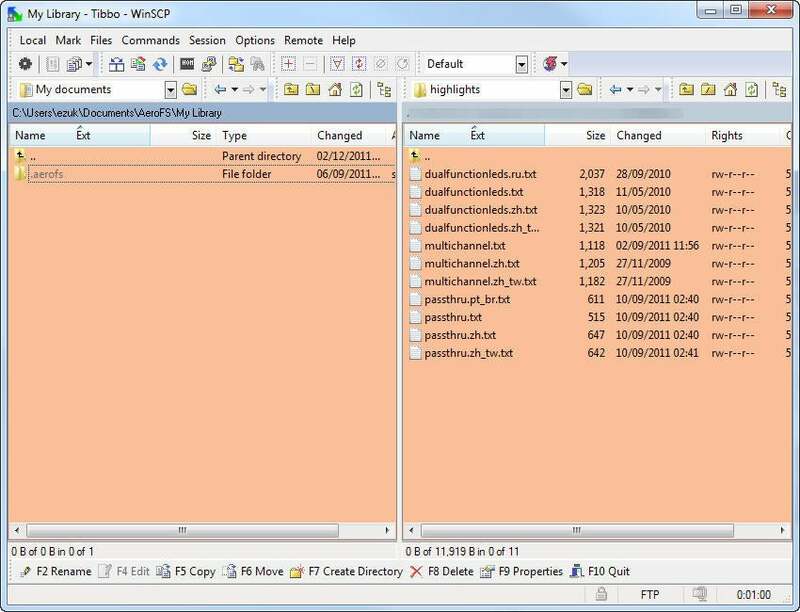 Similar to FileZilla, WinSCP is a free and powerful FTP client. But as the name implies, WinSCP also supports the secure copy protocol, a way to transfer files over the secure network protocol SSH (which SFTP has largely superseded). SCP is a bit esoteric, but thankfully WinSCP has much more to offer. For example, it lets you edit files locally, and it uploads the files to the server in the background whenever you save them. Speaking of editing, if you find Vim (the text editor I discussed in the first installment of this feature) too tricky to use, you may want to check out jEdit. This cross-platform programmer's editor features syntax highlighting for dozens of languages, as well as customizable color schemes and a built-in repository of powerful plug-ins to extend it in all sorts of creative ways. On the other hand, if your text editing leans toward prose rather than code, you should try the editor I'm using to write this very article: WriteMonkey. A compact editor aimed at writers, WriteMonkey takes up the whole screen, even covering the taskbar. The resulting effect lets you focus exclusively on the text at hand. I love it because it keeps things simple: Just you and your text--not a toolbar in sight. Another type of application that benefits from simplicity is the spreadsheet. If you often end up launching a full-fledged spreadsheet just to work out a few simple calculations, check out OpalCalc. This unusual program melds a text editor with a calculator, and lets you quickly make simple calculations and unit conversions using natural language. Finally, you might think so highly of these applications that you just have to share them with the world. You're welcome to share the link to this review, of course--but if you'd like to demonstrate how you use a certain app, I suggest Screenshot Captor. This powerful utility lets you capture an image of any window or toolbar on your screen, and it even preserves the partial transparency effects that Windows 7 uses. It includes tools to annotate and highlight areas of your screenshots, too, helping you make your message crystal clear. If you do find yourself using one or more of these applications, remember: Their developers all worked hard to create them, and offer them for free in the hope that some people are generous enough to donate. The vast majority of users opt not to pay--but perhaps this year you can be one of the few who do.